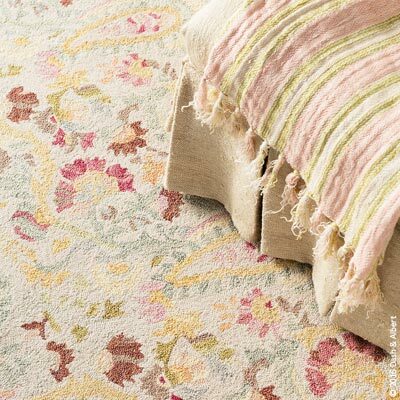 Add sophisticated color and pattern to your bedroom, living room or dining room floor with this micro-hooked wool rug. A beautifully patterned paisley in muted shades of garnet, gold, juniper and fuchsia, makes Dash & Albert's Ines Micro Hooked Wool Rug the ideal addition to both feminine and traditional bedrooms. Crafted by artisans committed to fair-labor practices.